When I came from Poland I had a work meeting related to the project I am working for (FRESCOR) in Santander. 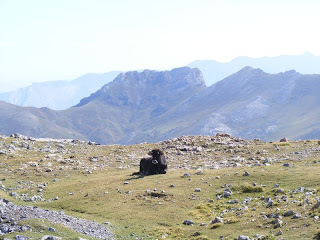 After the meeting we took some of the participants to see the highest peaks in the region, Picos de Europa. 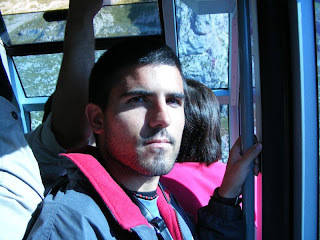 Although you can go up on foot without any problem, we decided to take the cable car that goes from Fuente De to almost the top of the peaks. Some years ago I was afraid of getting on that cable car but now it seems I've become more brave :). 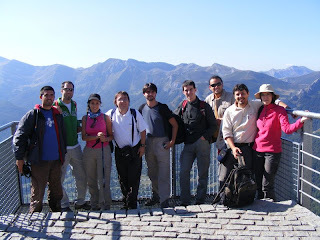 That is the group picture with my colleagues from the point where the cable car ends, really impressive views. 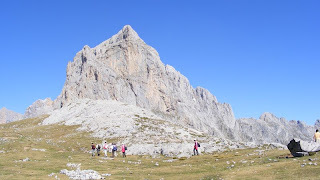 We had a pleasant walk on a glacial valley among the different peaks until we reached a famous shelter known as Aliva. 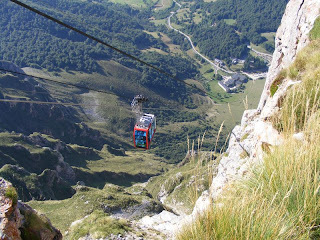 From there, people went back through the cable car again and I decided to go down on foot.. and running!! I thought they would be faster than me but in the end I had to wait for them for more than an hour. 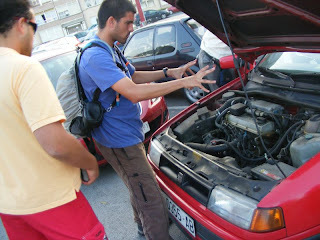 On the way back home, one of the cars had some problems. Nothing that my magic couldn't fix!! (ok, maybe Mihal and Martin also had something to do with it :D).